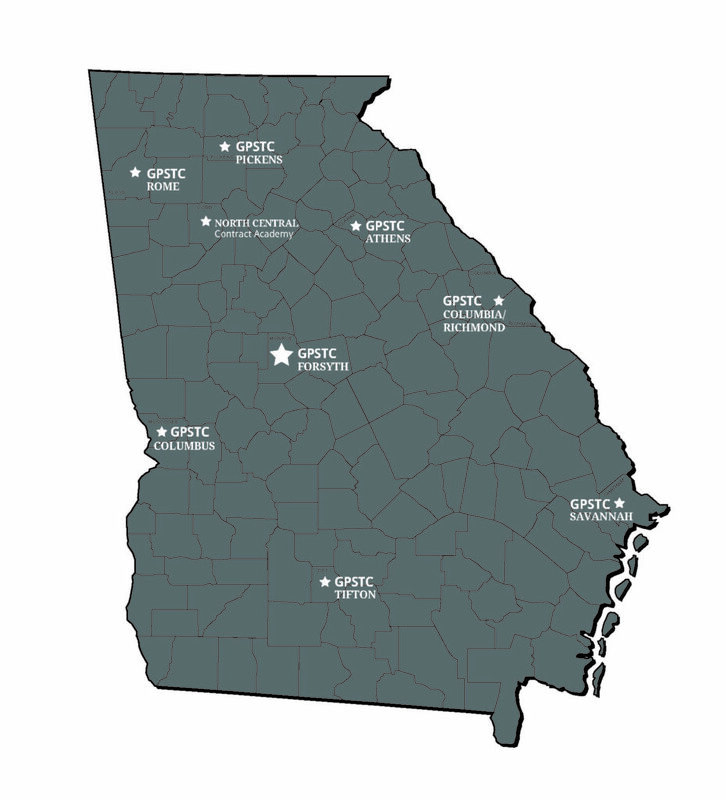 The Georgia Public Safety Training Center’s Basic Training Division maintains and operates several academies throughout the state in addition to the academy in Forsyth. Each of these academies conducts the Basic Mandate Law Enforcement Training program, the Basic Jail Officer Training program, and selected specialized and advanced training courses. As of July 1, 2014, Instructional Services Division will conduct the Basic Communications Officer Training program. All academies are supported by Advisory Boards made up of local officers and civilian personnel. Classes are being conducted at GPSTC Columbia/Richmond on an as needed basis. Contact the Academy manager for more information. Classes are being conducted at GPSTC Rome on an as needed basis.